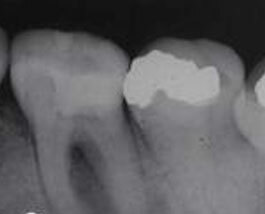 Root canal treatment is needed when the dental pulp inside of your tooth becomes inflammed or infected. This is often caused by tooth decay and is unlikely to go away on its own. This infection is likely to spread to your other teeth and gums if left untreated, so it is of upmost importance to receive root canal treatment before more damage is caused. Root canal treatment is the only means of saving a tooth when the nerves and blood vessels within the tooth have been damaged or have died. Caused by deep decay, a crack or trauma, if the damaged tooth is not treated, an abscess or infection may ensue, which can be painful and debilitating. Your dentist will be able to carry out this treatment for you, or depending on the complexity of your individual case, you may be referred to our Specialist Endodontist - who has the particular expertise and equipment to carry out complex root canal procedures. 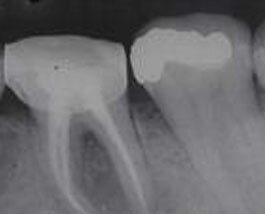 A local anaesthesia is used so it should feel no different to having an ordinary filling. Our dentists have years of training and experience, and our Specialist Endodontist has extra qualification around carrying out complex Root Canal treatment.